Who should pursue an MSHI degree? Home » Blog » Who should pursue an MSHI degree? Big data, once largely the realm of scientists and mathematicians, is now playing an important role in industries as diverse as entertainment, security and education. And when it comes to this trend, healthcare is no exception, as is demonstrated by the growing field of health informatics. This aspect of data use is providing numerous opportunities for professionals from a variety of backgrounds to pursue a rewarding career working with information. For those who wish to transition into HI, a Master of Science in Health Informatics degree can be a valuable tool. Coursework in this type of program typically covers important topics such as health information systems analysis and design, communication skills in health informatics, healthcare IT vendor management and healthcare data, which can prepare students from a variety of backgrounds for advancement in the field. Informatics is an increasingly important part of the pharmaceutical industry. By acquiring, storing and leveraging data, professionals are able to more effectively manage drug prescription and administration and help ensure the safety of patients. This data – and its management – can also be used to determine priorities, increase oversight and review spend in pharmacy practice, according to healthcare company McKesson. As data analytics becomes a larger part of this field, professionals who wish to advance careers in the pharmacy industry need to stay abreast of the latest developments and strategies of HI. As such, earning an MSHI degree can be extremely beneficial if you currently work as a pharmacist. A degree in health informatics can complement clinical training to help you advance your career in the pharmaceutical industry. 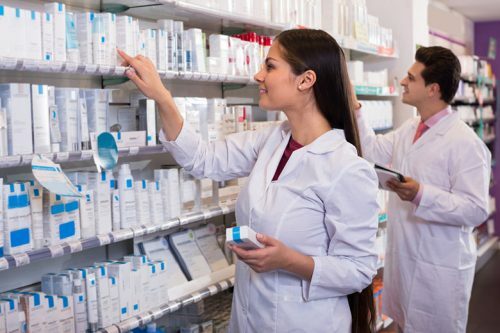 With an MSHI degree, pharmacy professionals are well positioned to improve processes and increase patient safety while advancing their own career. As HI becomes a more integrated part of patient care, nurses are also becoming more involved with health data. Consequently, many of these professionals find that their clinical experience translates well to a career in health informatics. This was the experience of clinical informatician Rick Reyes, who decided to enroll in UIC’s online MSHI program as a nurse en route to a career in health informatics. Reyes explained that while there are many ways to contribute in a hospital, he was particularly drawn to informatics in healthcare because it is a role that involves working with everyone in the organization, as opposed to a single department. After completing his MSHI degree, he now works as a clinical informatician, where he spends his mornings talking with clinicians and direct caregivers alike. Transitioning to health informatics from a nursing background does not mean that everything you learned in your years in patient care is no longer relevant. In fact, Reyes reported that his new career benefits from his past work as a nurse. Nurses who transition into informatics can pursue a number of different positions, including clinical data specialist, patient advocate, clinical applications analyst and informatics manager/director, as well as a variety of roles in risk management, education, policy development and project management. The applied health field covers a variety of healthcare roles, with positions that range from radiographers to medical technologists. Like nurses and pharmacists, professionals in this facet of the field have intimate knowledge of clinical processes and practices that can be helpful when pursuing a career in health informatics. Many of these positions already work with medical images, lab results and other important sources of patient information, which can translate well to HI. An MSHI degree can help applied health professionals transition into one of these or other roles that leverage data by building upon their existing clinical knowledge and work experience. Physicians who wish to advance their career in hospitals or other healthcare settings can also benefit from an MSHI degree. As health informatics becomes an increasingly large part of patient care, it is essential for doctors to have a deep understanding of how data is collected, stored and leveraged, particularly if they wish to advance to a role that involves high-level decision-making or management. One role that can particularly benefit from this kind of education is that of Chief Medical Information Officer. This position, which combines both clinical knowledge and experience in IT, serves as a conduit that connects the medical and technological practices at hospitals and other large health care organizations. In addition to the intellectual stimulation and rewarding nature of this position, working as a CMIO is also financially advantageous, with the typical salary falling between $200,000 and $300,000, according to a survey by Violet Shaffer, research vice presidents at Gartner. By combining a clinical background and education with a higher degree in health informatics, physicians can make meaningful contributions to their organizations in an advanced HI role. You do not need to be a healthcare professional to launch a career in health informatics. A background in a different facet of informatics can also be advantageous when pursuing a position in HI. However, it may be challenging to transfer directly to health informatics from a different specialty due to the particular requirements of the field, such as knowledge of medical jargon and clinical practices. Consequently, a degree in health informatics can help bridge those gaps on your resume by providing knowledge of the healthcare specifics that were likely not a part of your previous work experience. The online UIC MSHI degree program is designed to prepare those from both clinical and non-clinical backgrounds for a career in health informatics, which means that it could be the answer if you’re looking to transition to this aspect of the field from a different informatics specialty. If you do not fall into one of these categories, it is still entirely possible to pursue a role in health informatics. Consider contacting UIC’s health informatics admissions department to learn more about whether an MSHI degree could be the right next step in your pursuit of an HI career.